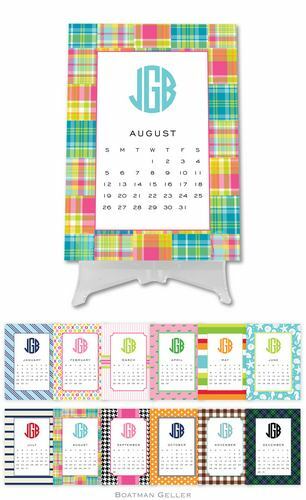 Personalized rolling 12-month calendar. Calendars are available for any 12-month period. You can start at any month. 5"x7" with stand. Typestyle as shown. Allow 1-2 weeks for delivery.